Masa JN1GKZ reports JAXA has announced three CubeSats, Irazu (Costa Rica), 1KUNS-PF (Kenya) and UBAKUSAT (Turkey) will deploy from the International Space Station on Friday, May 11 between 1030-1040 GMT. 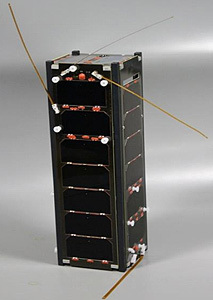 All the CubeSats carry amateur radio payloads, Irazu and 1KUNS-PF have telemetry beacons while UBAKUSAT carries a linear transponder for amateur radio SSB and CW communications in additional to CW and telemetry beacons. Update May 12, 2018: Signals from all three satellites were successfully received during May 11. The deployment will be broadcast live on YouTube, watch from 1000 GMT Friday, May 11.